By adjusting the WiFi camera communications we can optimize Switcher Studio for different situations. 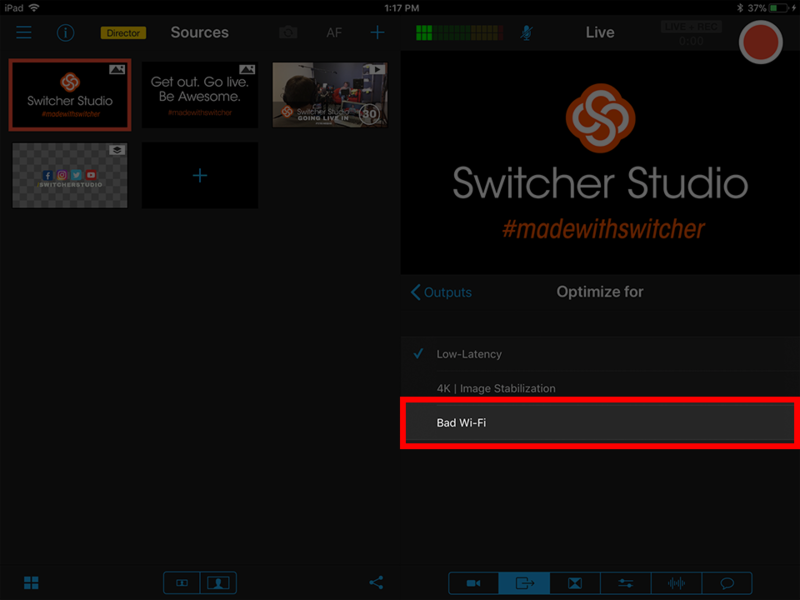 To get to these settings, start on the Outputs tab, and scroll down and tap on “Optimize for...”. From here we get three different options. 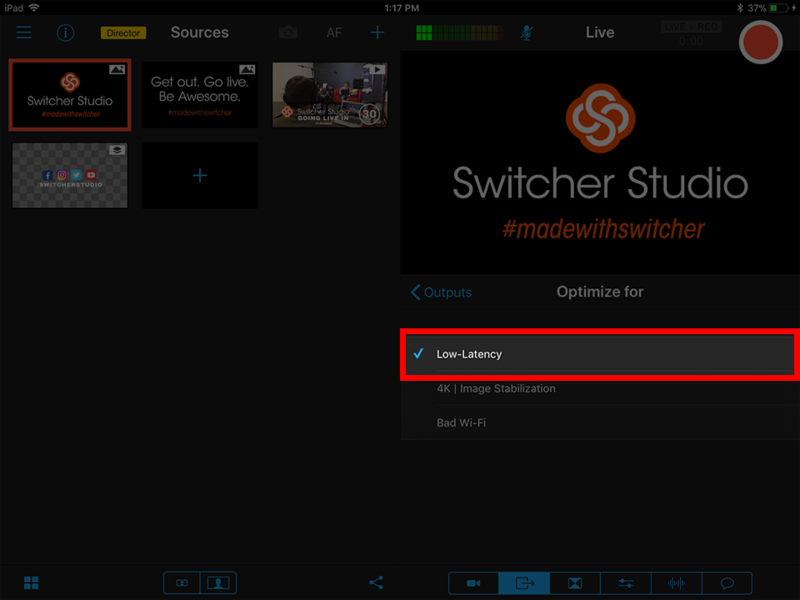 Low-Latency is the most common and default use for Switcher Studio. Using this setting makes the angles as close to real time as possible. 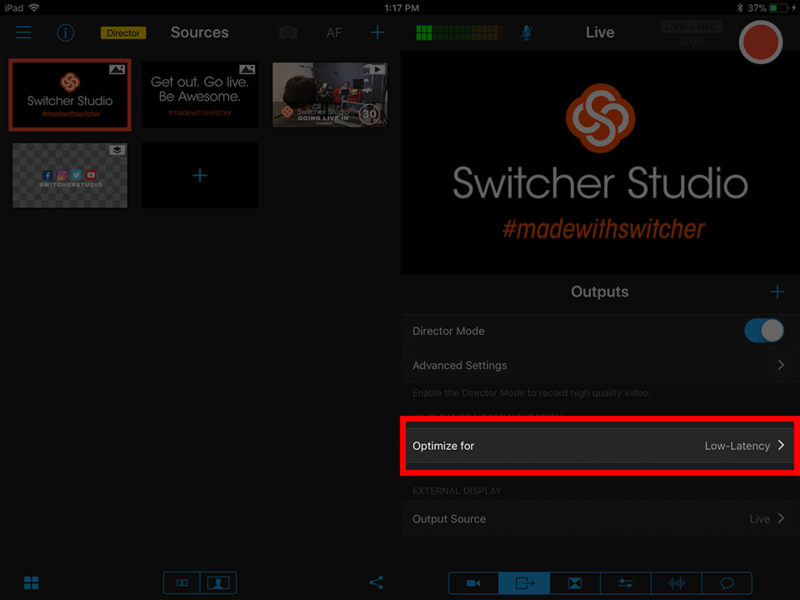 There is only a 200ms delay between the remote camera and what appears in Switcher Studio. 4K | Image Stabilization will introduce 400ms delay. 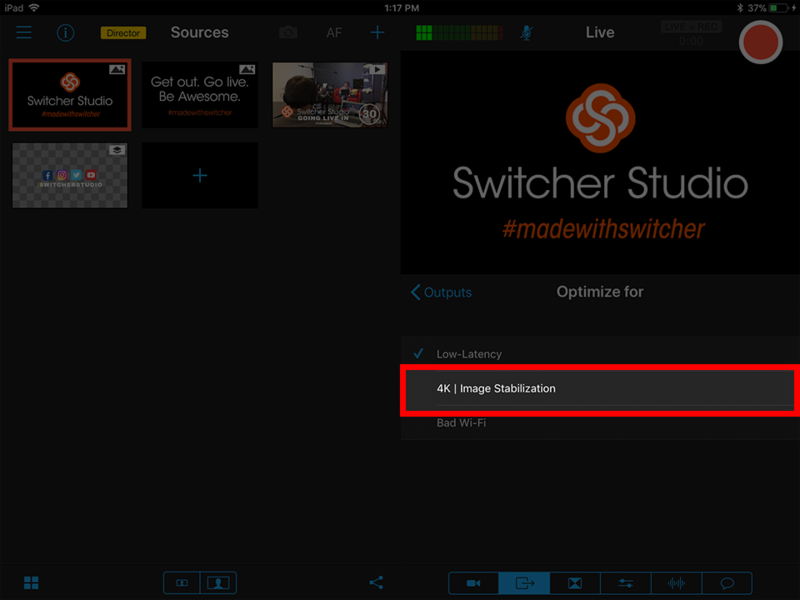 This is necessary to record in 4K, as well as use the Image Stabilization feature in Switcher Studio. Change to this setting if you plan to do either 4K recording or use Image Stabilization. Last is “Bad Wi-Fi”. If your network is unable to keep up and is dropping frames, selecting the Bad Wi-Fi will introduce a 600ms delay but will drop less frames and help ease the load of your network. This setting is great for crowded halls and older network setups. NOTE: If you are enabling 4K recording or Image Stabilization you MUST set the Wi-Fi Camera Communication to either “4K | Image Stabilization” or “Bad Wi-Fi”.